Tacx Trainer Tyre T1395 26"
The Tacx trainer tyre is specially designed for use with turbo trainers. The Tacx Trainer Tyre's blue rubber long-life compound is designed for optimal grip on the turbo's rollers and to minimise the risk of overheating, slipping and premature wear. That's significant because you can prematurely wear out normal tyres on a turbo - especially tyres with soft grippy treads. Tacx training tyres run quieter on the turbo than regular road tyres. 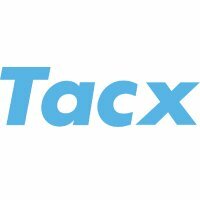 Tacx Trainer Tyres are not suitable for normal use on the road. The message is clear: reserve these tyres for the turbo and your outdoor tyres for the road.